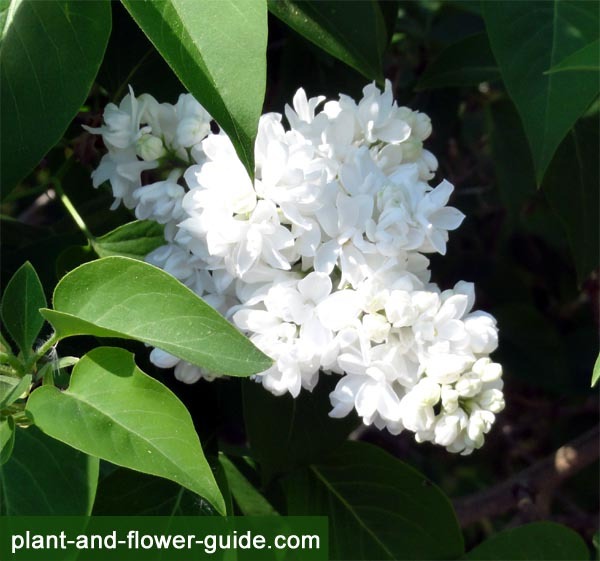 Common Lilac – Enjoy This Fragrant Touch of Spring! 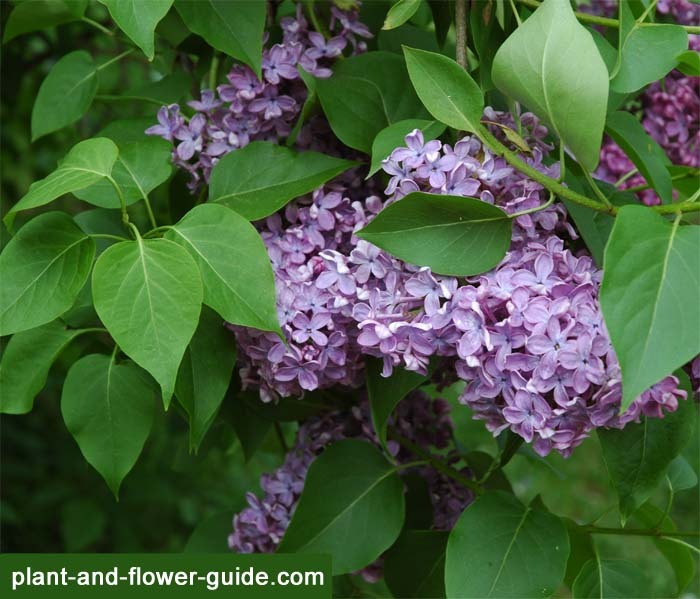 Common Lilac Flowers – Flowers of the month of May! Around here, these flowers do not only look terrific, lilacs in the spring also release an irresistible fragrance. Everybody knows: spring is in the air, when these showy, fragrant flower clusters open up! It is such a delight to have these flowers in the garden! I just love them! These deciduous shrubs are easy to grow and to care for. And, although the have a rather short flowering period (and therefore fragrance period); they have a lovely mid-green foliage that makes up for this aspect. If you decide to plant lilac flower plants, I am confident that you will never regret it. Their big flower clusters displaying intense colours and releasing a nice honey-sweet scent are priceless! And that definitely is a more than a good reason to put this flower on the Flowers of the Month list! Most of these early bloomers that are seen in gardens are hybrids of the wild lilac that is scientifically named “Syringa vulgaris”. The flowers of the different hybrids have various colours: there are purple lilacs, white lilacs, light yellow lilacs (more or less like a cream colour), light rose and dark rose lilacs, lavender lilacs, purple and blue lilacs. The flowers may be single or filled. Yet, double lilacs do not have such an intense fragrance as the single lilacs. The fragrant and intense coloured flowers attract many insects, like bees, flies, bugs and butterflies! When you stand next to a lilac bush you can hear the humming of the bees and bumblebees. What a lovely sound of nature! Lilac flower bushes are excellent plants for a butterfly garden! They are somewhat similar to the butterfly bushes (belongs to the genus Buddleja). These two plants shouldn’t be missing in your garden if you want to attract various butterfly species! Tip: It is my experience that these lovely, luscious clusters of flowers do not like to be cut for a flower bouquet. They wilt very fast! Enjoy this fragrant touch of spring!